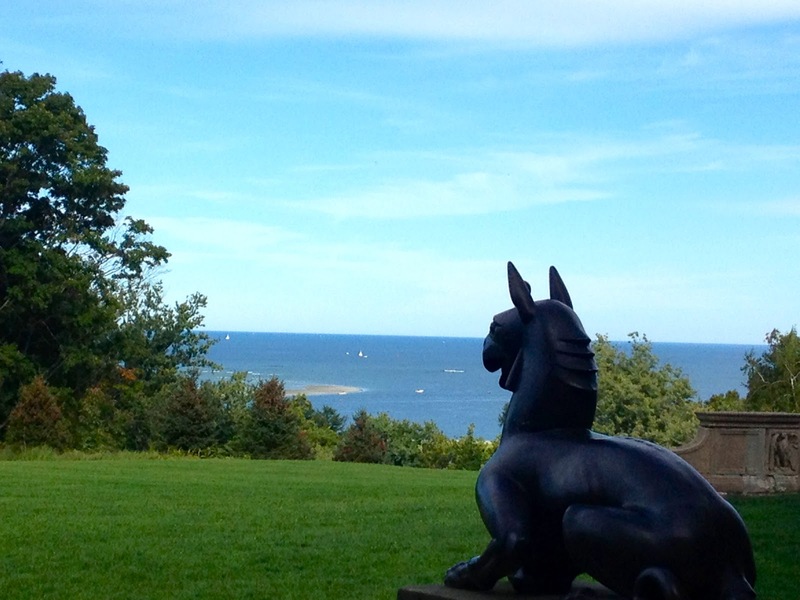 perfect mix of late summer weather, and just a touch of fall chill. 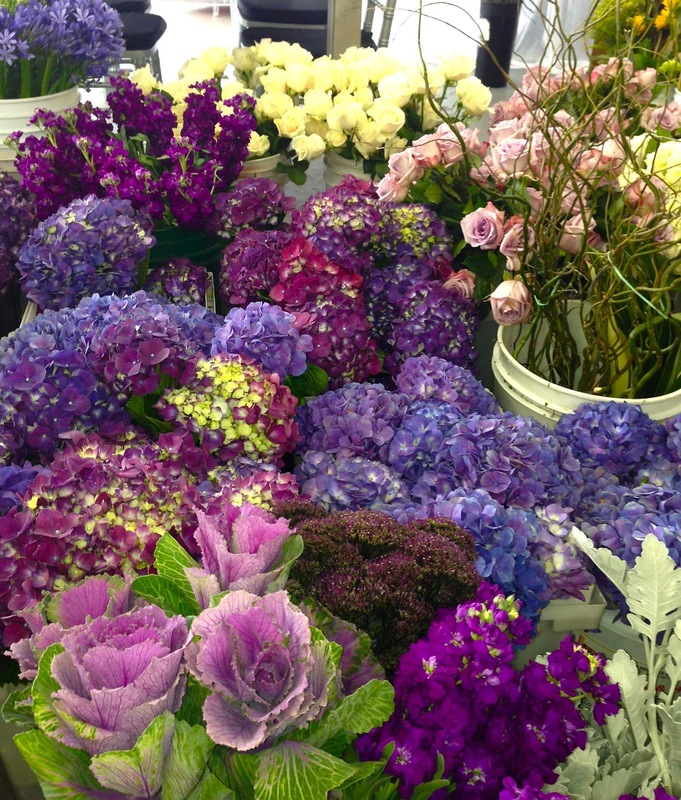 With wonderful summer colors still in bloom, and fall temperatures approaching September can make for the perfect Wedding month! 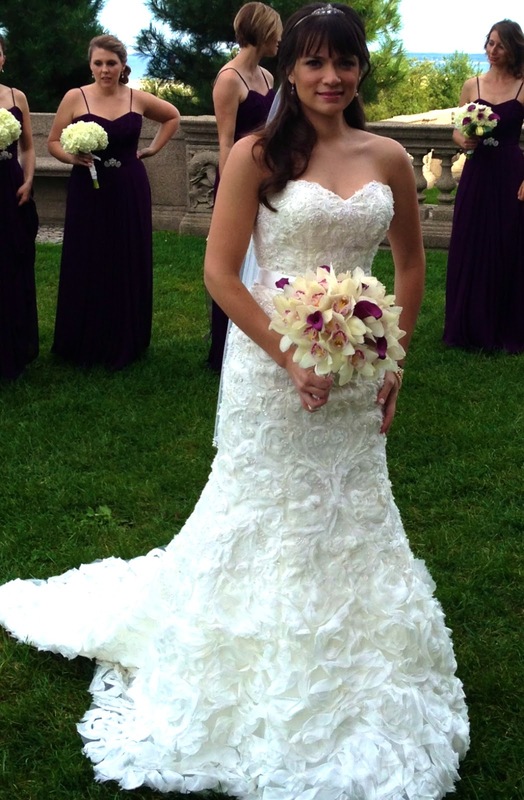 This past weekend DME and our lovely couple got just that; the perfect September day! 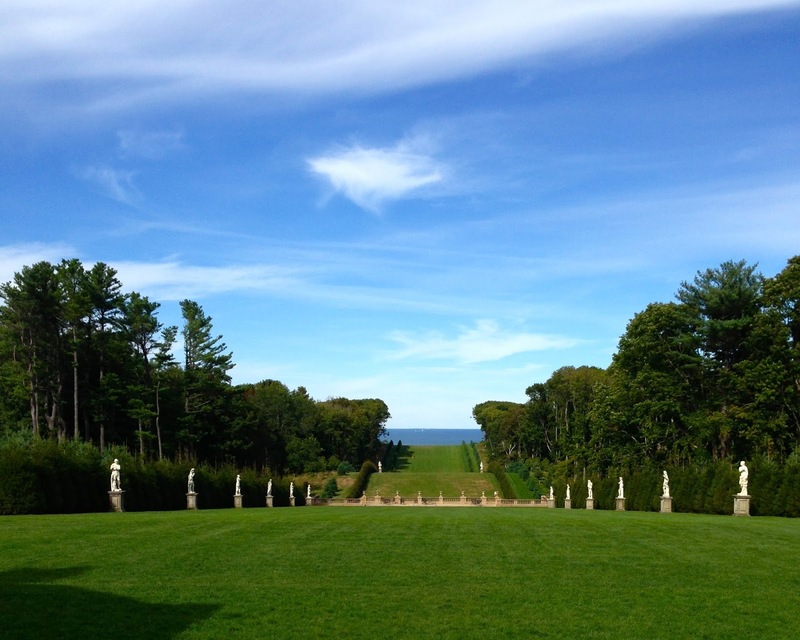 We were fortunate enough to be onsite at the breathtaking Castle Hill here in Ipswich. 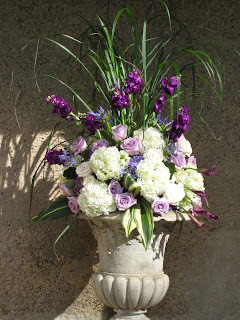 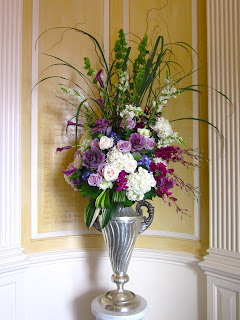 Our bride went with a purple color scheme, using deep plum Calla Lilies, purple Hydrangea, purple Trachelium, Lavender Roses, and purple Stock just to name a few. Bells of Ireland, White Hydrangea, Lemon Leaf, Dusty Miller, and Cymbidium Orchids added the perfect pops of green and white to make the arrangements crisp and lively. 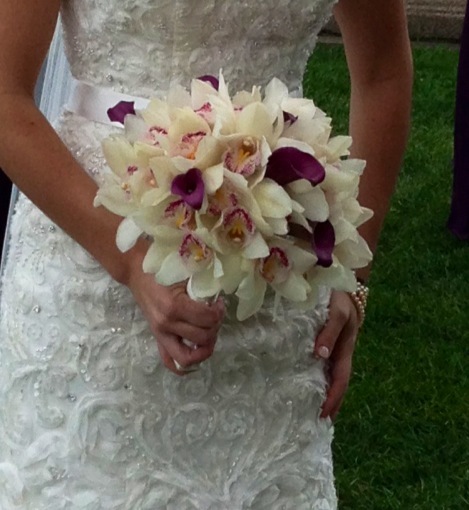 The bride looked absolutely stunning and her bouquet, made up of White Cymnidium Orchid's with Plum throats, and Plum Calla Lilies matched her dress and bridesmaids perfectly. 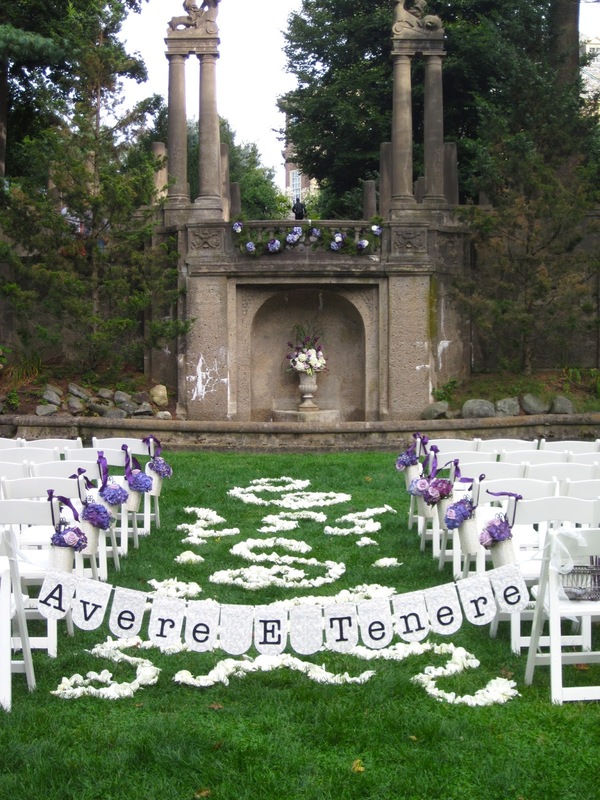 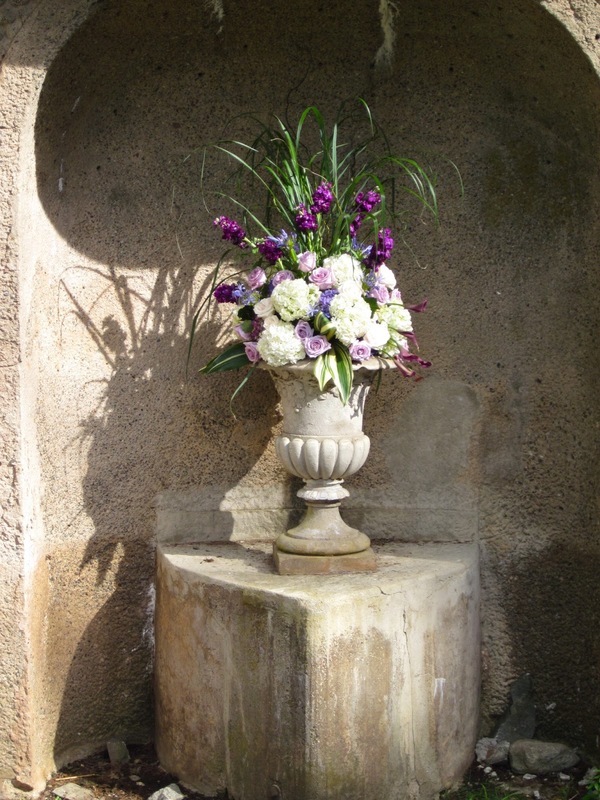 The Ceremony was held in the beautiful Italian garden on the property. To give the space an even more romantic feel our designers created swirls out of white rose petals to the aisle for the bridal party to walk along, thus scattering for the bride. Small arrangements hung from the sides of the chairs incorporated the purple theme that was evident throughout the venue and made the space really stand out. 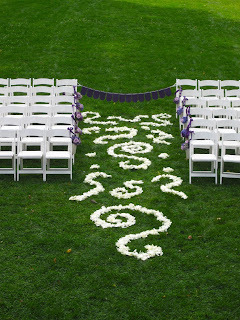 A stunning ceremony arrangement was set in the niche to reflect the garland and floral creation hanging above. 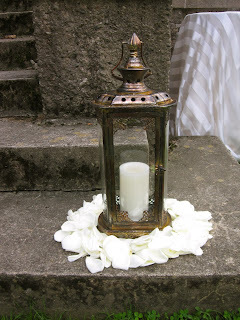 Lanterns and white rose petals made the space feel warm and soft to make for the perfect September Ceremony.